Congratulations to Venky Prabhakaran on receiving the Popular Choice award in Pacific Northwest National Laboratory's 2017 Science As Art Competition. The artificially colored image showing a flower-like structure produced by ion soft landing deposition of redox-active cluster ions onto electrode surfaces received 400 votes on PNNL's Facebook page. Prabhakaran captured the image with a scanning electron microscope as part of a study into the processes that occur at the interface between electrodes and electrolytes. Knowing more about these processes is vital to creating sustainable ways to generate, convert and store energy. The members of this research team included Prabhakaran, Bingbing Wang, Grant Johnson and Julia Laskin. Also, congratulations to Radha Kishan Motkuri on having the image he contributed receive the Laboratory Director's Choice award. 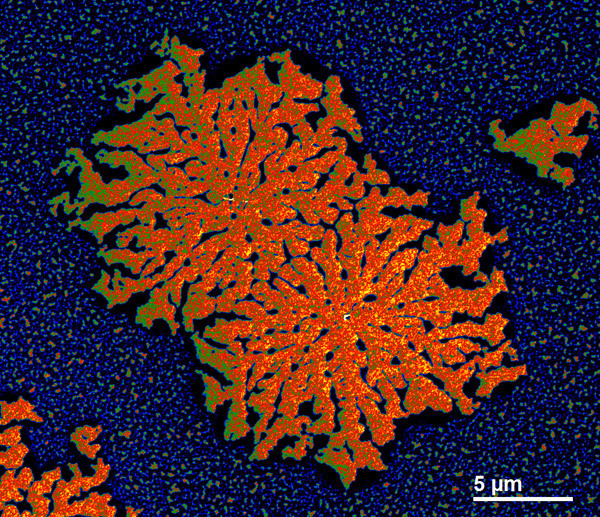 The image, taken with a helium ion microscope and artificially colored, is of nanoporous chabazite zeolites transforming from an amorphous gel into nanoparticles. 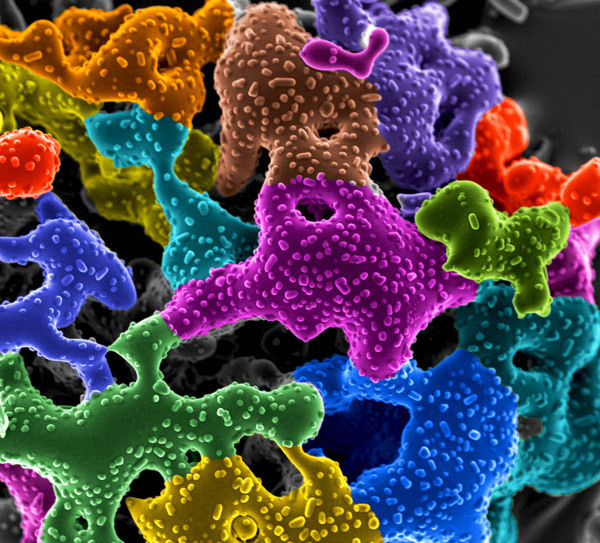 This image is part of research that will ultimately contribute to developing more efficient sorbents to capture carbon dioxide under flue gas conditions and effective catalysts for selective catalytic reduction of nitrous oxide from the exhaust gases. Project members included Motkuri, Miroslaw A. Derewinski, Bruce Arey, Sebastian Prodinger, Dushyant Barpaga, V Shutthanandan and Pete McGrail. The contest, in its seventh year, received more than 90 entries. This year, the submissions ranged from nuclear fuels to fungal strains.